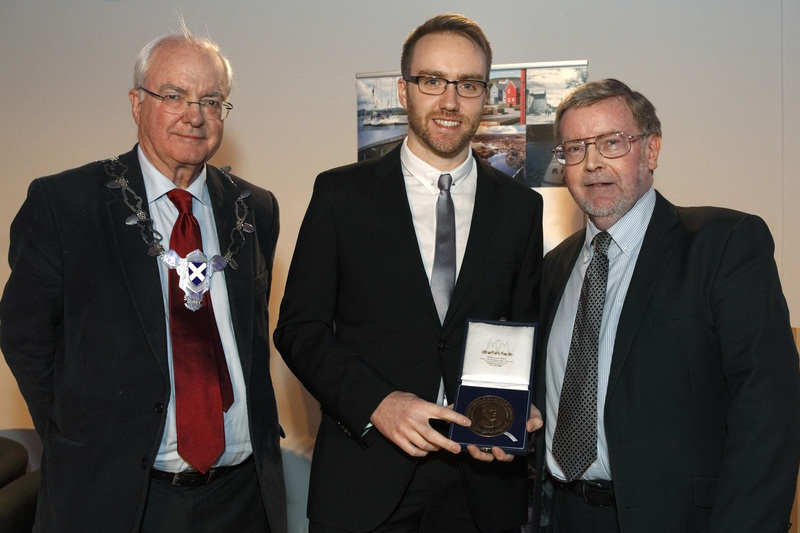 The Ross Roy Medal, commemorating the outstanding contribution to Scottish literature made by Professor G. Ross Roy of South Carolina University, is awarded annually to the best PhD thesis submitted on a subject relating to Scottish literature and judged by the UCSL committee. The Ross Roy Medal is presented each November, as part of the annual Scottish Literary Awards hosted by The Saltire Society. To be eligible for the award in a given year, the candidate’s doctoral thesis must have been submitted (not examined) in the twelve months prior to 30 April of that year. Theses submitted from May onward in a given year are eligible for the following year’s awards. Supervisors or examiners of doctoral theses submitted to member institutions are invited to make nominations (via the secretary) by 1 June of each year. The UCSL judging panel will then determine a winner in time for the awards ceremony in November. The judging panel is drawn from across the membership of UCSL and changes on a regular basis. The prize was put together with 50 per cent funding from UCSL and 50 per cent from the Scottish Arts Council (now Creative Scotland). We are thankful to Professor Douglas Gifford (emeritus Chair of Scottish Literature at the University of Glasgow), the late Dr Gavin Wallace (Scottish Arts Council), in whose name Creative Scotland now has a fellowship, and Professor Gerry Carruthers (Francis Hutcheson Chair of Scottish Literature at Glasgow), for the establishment of the prize. Since 2013 the prize has been hosted by The Saltire Society.